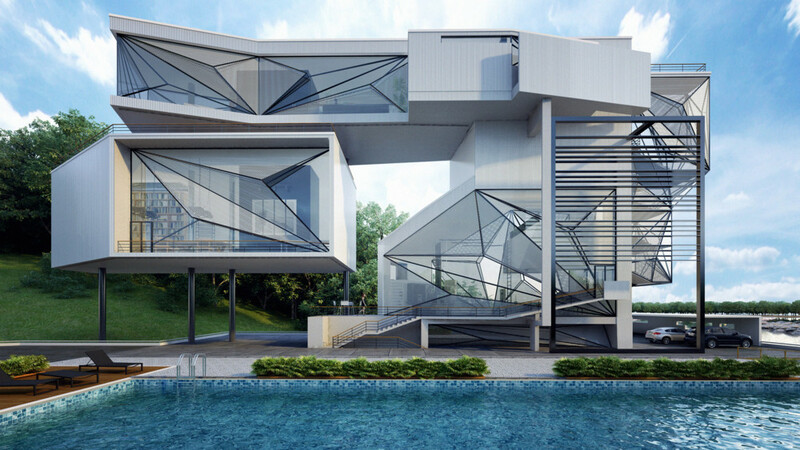 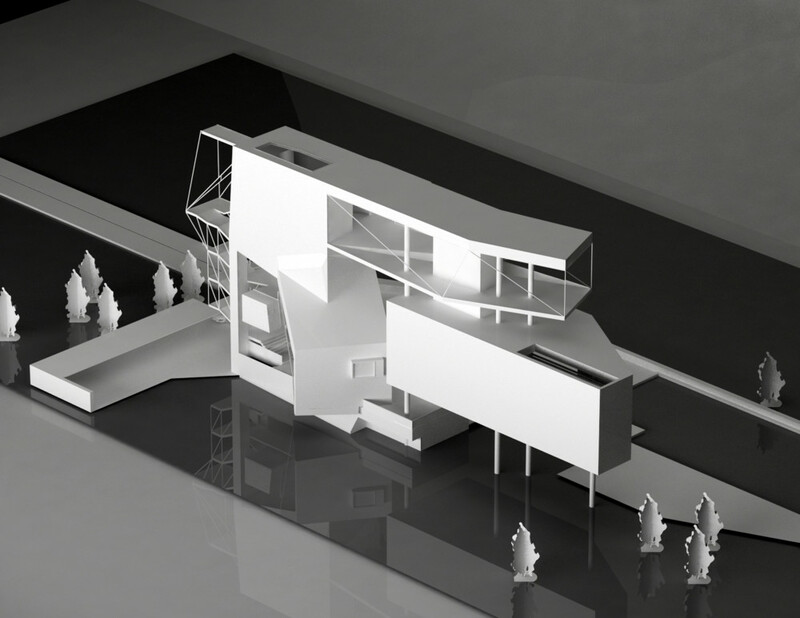 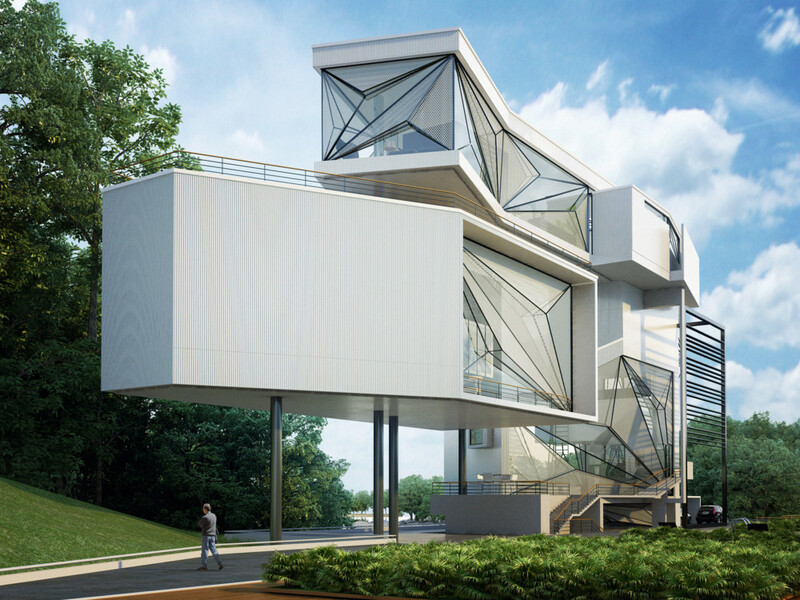 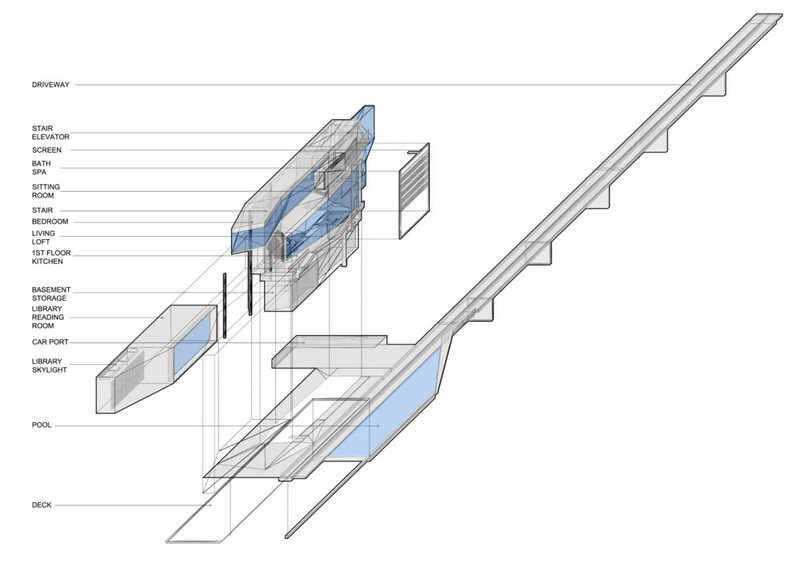 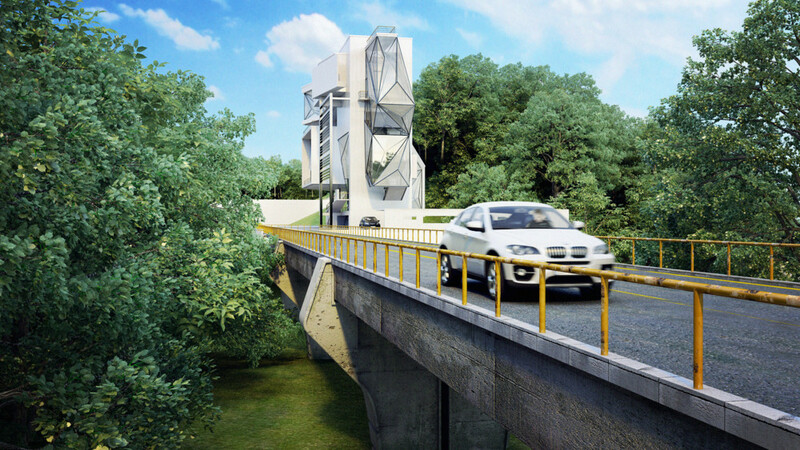 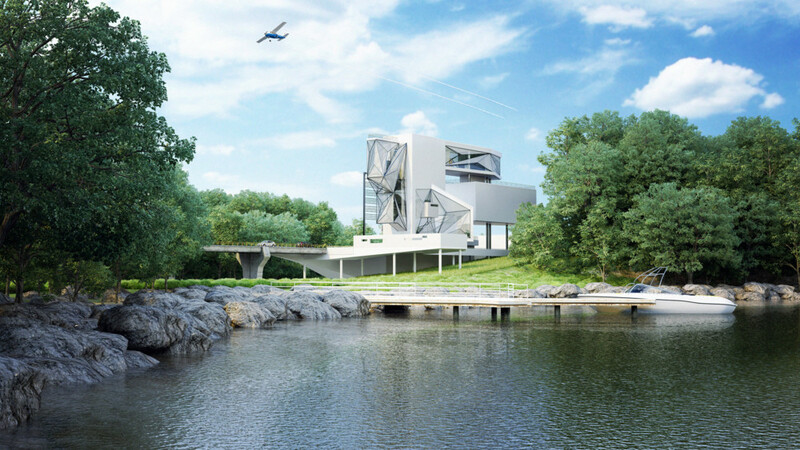 This project explores the idea of flight as a powerful motivator for architectural darings. 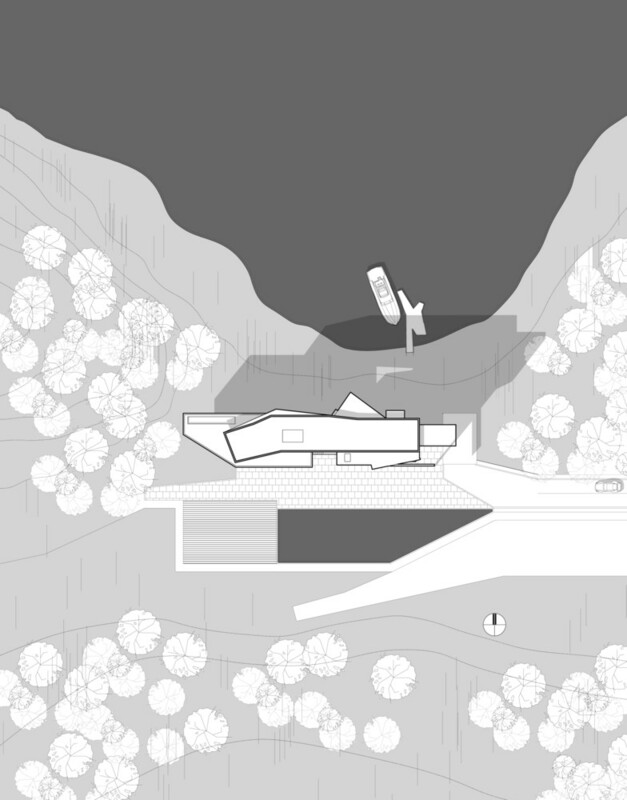 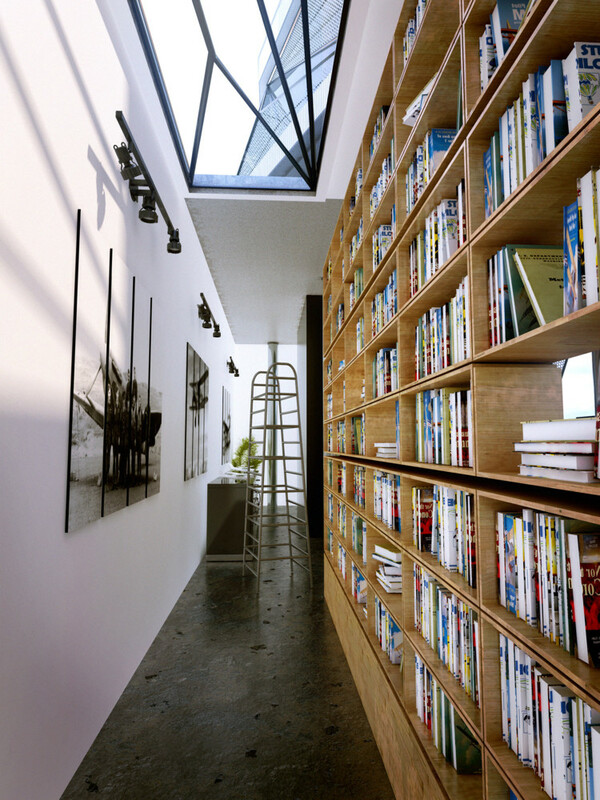 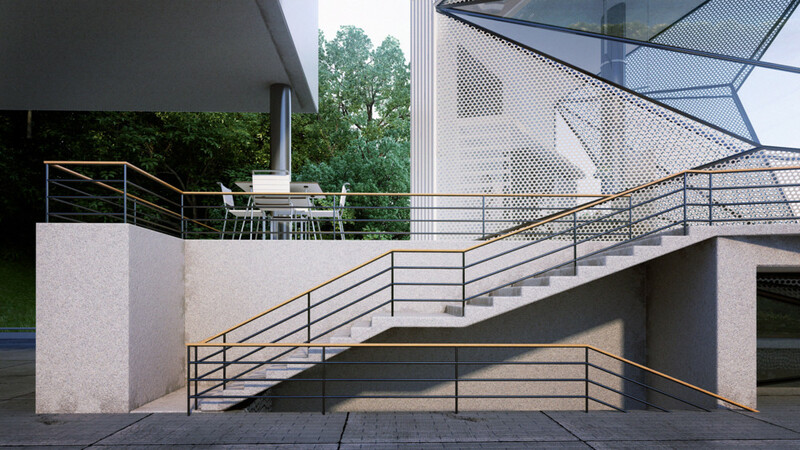 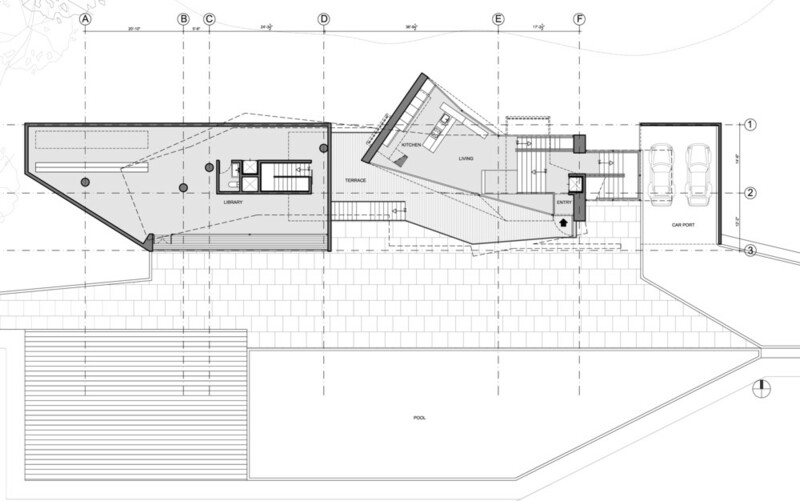 The house is designed as a minimal sequence of three primary spaces: the large 30 feet tall living/study and kitchen/dining area and , the cantilevered 40 feet bedroom, and the Library. 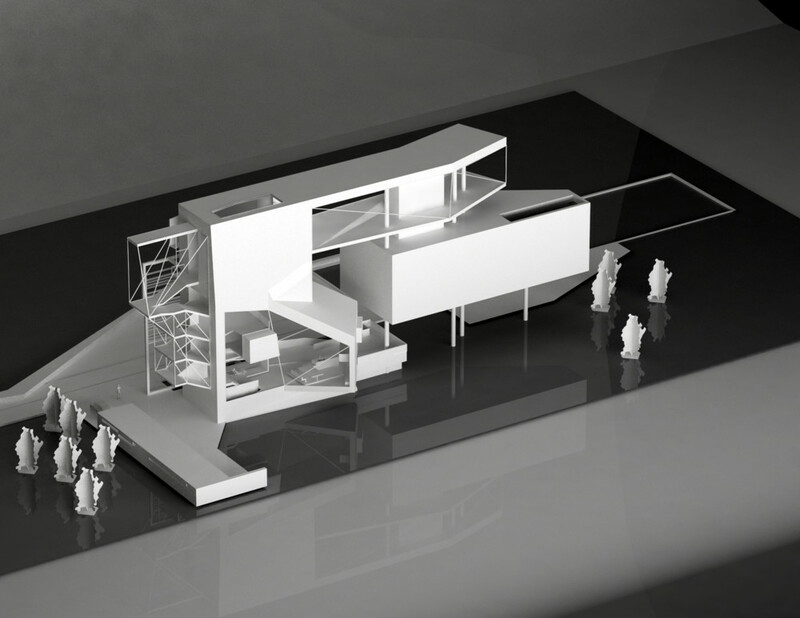 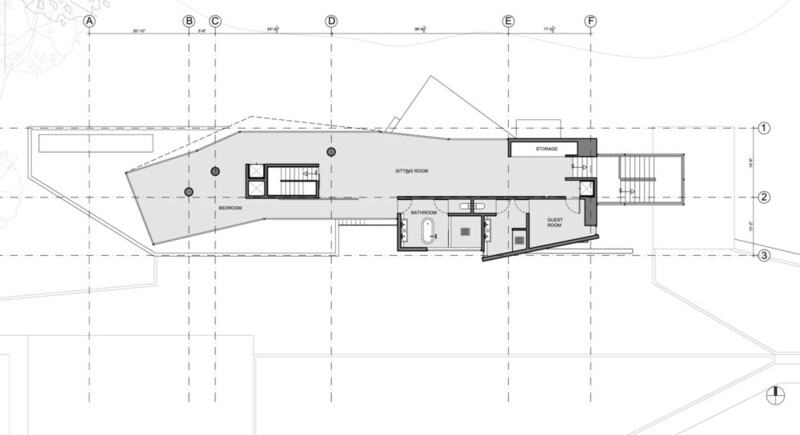 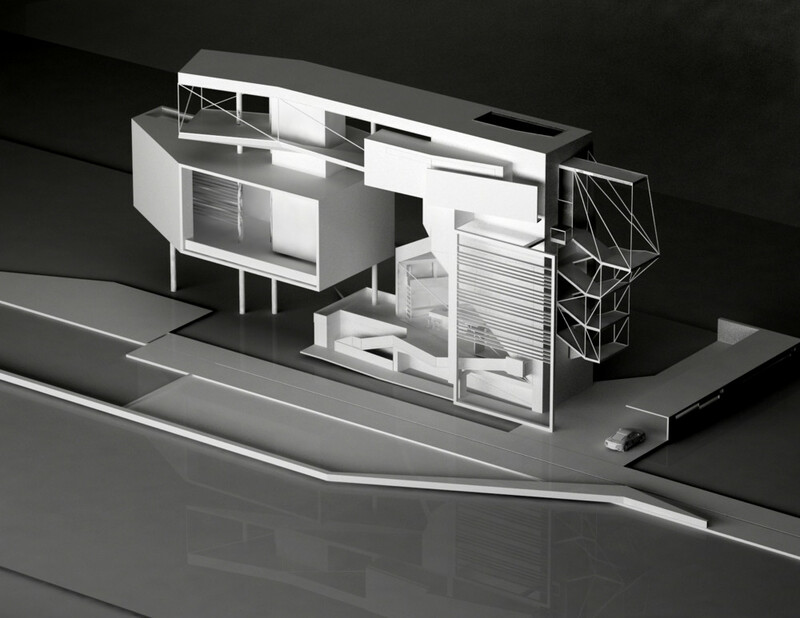 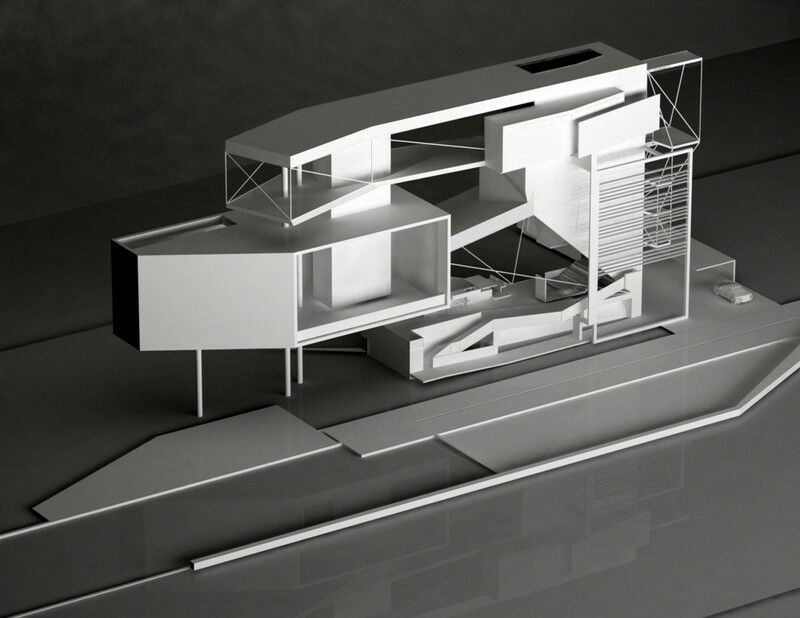 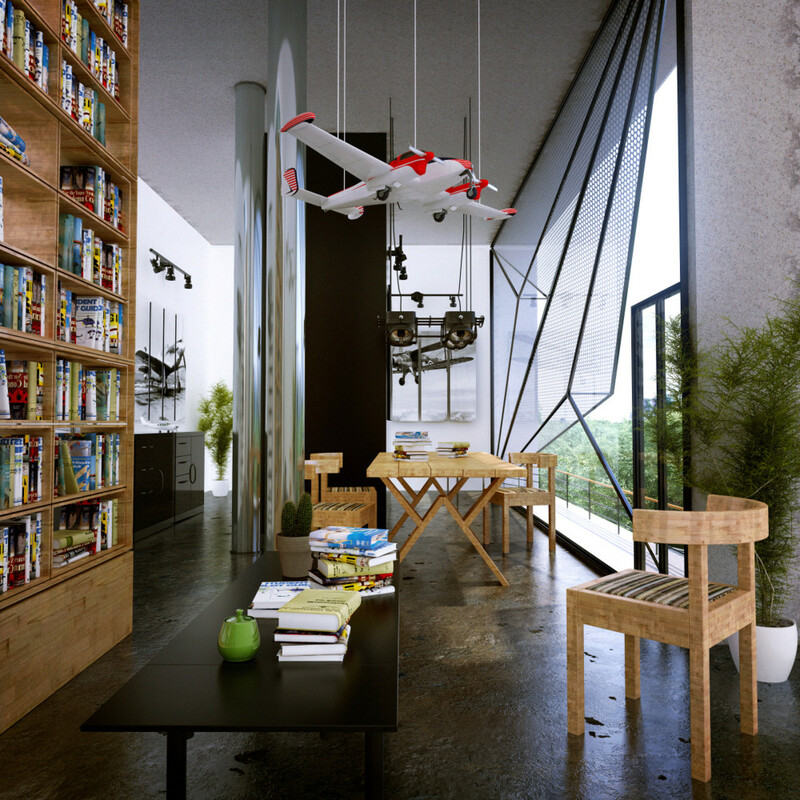 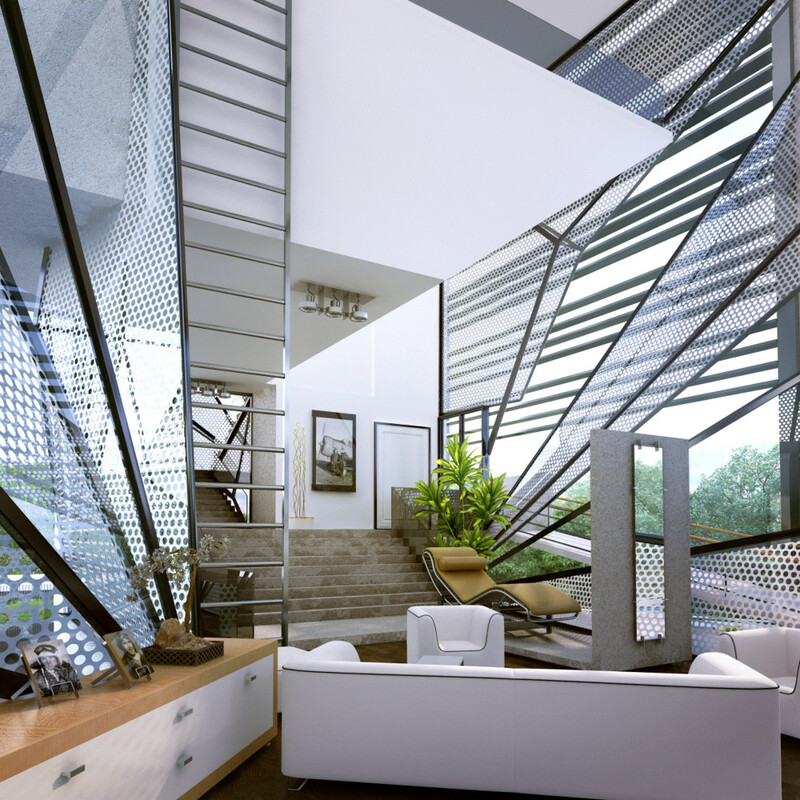 The house for an airplane pilot (the aviator) is both expressive and simple in its architectural morphology. 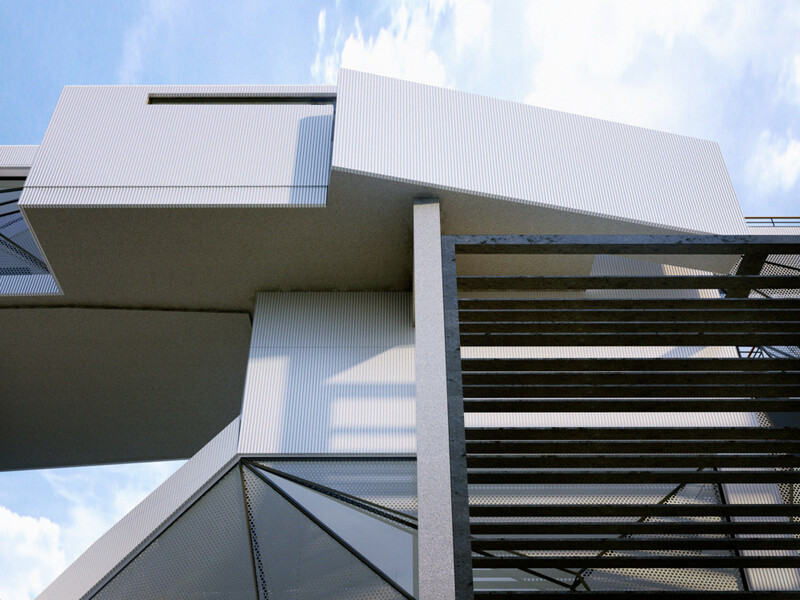 A series of hidden spaces are tucked between the tow main spaces and are revealed through the monumental circulatory staircase ascending to the bedroom at the top.